This page and its sub-pages tell you everything you need to know about how JC and/or its affiliates (“JC”; “we”) protect the personal data we process and control relating to you (“your personal data”; “your data”) and which rights you have in relation to the processing of your personal data. Further information on JC (and, if relevant, its representatives) can be found here. Any JC entity located outside the European Union will for the purposes of compliance with data privacy laws be represented by JC. How do we use personal data when you visit JC’s website? 1. HOW DOES JC PROTECT YOUR PERSONAL DATA? JC attaches great importance to your right to privacy and the protection of your personal data. We want you to feel secure that when you deal with JC, your personal data are in good hands. JC protects your personal data in accordance with applicable laws and our data privacy policies. In addition, JC maintains the appropriate technical and organizational measures to protect your personal data against unauthorized or unlawful processing and/or against accidental loss, alteration, disclosure or access, or accidental or unlawful destruction of or damage thereto. If you provide us with personal data of another person (for instance, a potential employee/referral), you are responsible for ensuring that such person is made aware of the information contained in this privacy statement and that the person has given you his/her consent for sharing the information with JC. JC uses your personal data only where required for specific purposes. Please click here for (i) a list of the purposes for which JC uses your personal data and (ii) an overview of the legal basis for each such purpose. Managing our contractual and/or employment relationship with you. Necessary for the performance of a contract to which you are a party. Recruitment. Justified on the basis of our legitimate interests for ensuring that we recruit the appropriate employees. Facilitating communication with you (including in case of emergencies, and to provide you with requested information). Justified on the basis of our legitimate interests for ensuring proper communication and emergency handling within the organization. Operating and managing our business operations. Justified on the basis of our legitimate interests for ensuring the proper functioning of our business operations. Complying with legal requirements. Necessary for the compliance with a legal obligation to which we are subject. Monitoring your use of our systems (including monitoring the use of our website and any apps and tools you use). Justified on the basis of our legitimate interests of avoiding non-compliance and protecting our reputation. Improving the security and functioning of our website, networks and information. Justified on the basis of our legitimate interests for ensuring that you receive an excellent user experience and our networks and information are secure. Undertaking data analytics, i.e. applying analytics to business operations and data to describe, predict and improve business performance within JC and/or to provide a better user experience. (more details on how we run analytics on our website can be found in our cookies policy). Justified on the basis of our legitimate interests for ensuring the proper functioning of our business operations. Marketing our products and services to you (unless you objected against such processing, as further described in the section “How do we use personal data for marketing purposes?” below). Justified on the basis of our legitimate interests for ensuring that we can conduct and increase our business. Where the above table states that we rely on our legitimate interests for a given purpose, we are of the opinion that our legitimate interests are not overridden by your interests, rights or freedoms, given (i) the transparency we provide on the processing activity, (ii) our privacy by design approach, (iii) our regular privacy reviews and (iv) the rights you have in relation to the processing activity. Please contact us if you wish to obtain further information on this balancing test approach. We may transfer personal data to our service providers, professional advisors, public and governmental authorities or third parties in connection with a (potential) corporate or commercial transaction. Such third parties may be located in other countries. Before we do so, we shall take the necessary steps to ensure that your personal data will be given adequate protection as required by relevant data privacy laws and JC’s internal policies. 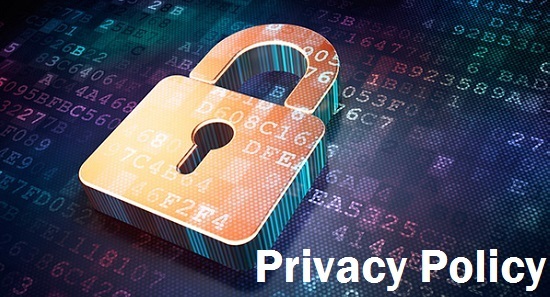 The term “sensitive data” refers to the various categories of personal data identified by data privacy laws as requiring special treatment, including in some circumstances the need to obtain explicit consent from you. These categories include racial or ethnic origin, political opinions, religious, philosophical or other similar beliefs, membership of a trade union, physical or mental health, biometric or genetic data, sexual life or orientation, or criminal convictions and offences (including information about suspected criminal activities). We hold an ISO27001 certification, which indicates that we adhere to the highest and strictest information security standards. This is a security standard awarded by the British Standards Institution (“BSI”) that serves as international certification that JC adheres to the highest and strictest standards. This certification is the only auditable international standard that defines the requirements for an Information Security Management System (“ISMS”), and confirms that JC’s processes and security controls provide an effective framework for protecting our clients’ and our own information. As a global organization with offices and operations throughout the world, personal data we collect may be transferred or be accessible internationally throughout JC’s global business and between its entities and affiliates. Any such transfers throughout JC’s global business take place in accordance with the applicable data privacy laws and in accordance with our Code of Conduct (“COC”). Our COC reflect the standards contained in European data privacy laws (including the General Data Protection Regulation). Having our COC means that all our group entities which have signed up to our COC have to comply with the same internal rules. It also means that your rights (see “Which rights do you have with respect to the processing of your personal data?”) stay the same no matter where your data are processed by JC. Download a copy of JC’s COC. Object to the processing of your personal data: this right entitles you to request that JC no longer processes your personal data. Request the restriction of the processing of your personal data: this right entitles you to request that JC only processes your personal data in limited circumstances, including with your consent. Request portability of your personal data: this right entitles you to receive a copy (in a structured, commonly used and machine-readable format) of personal data that you have provided to JC, or request JC to transmit such personal data to another data controller. To the extent the processing of your personal data falls in scope of our COC, you may also want to review your rights under our COC. To the extent that the processing of your personal data is based on your consent, you have the right to withdraw such consent at any time by contacting legalmail@pec.jc-italia.it. Please note that this will not affect JC’s right to process personal data obtained prior to the withdrawal of your consent, or its right to continue parts of the processing based on other legal bases than your consent. If, despite our commitment and efforts to protect your personal data, you believe that your data privacy rights have been violated, we encourage and welcome individuals to come to JC first to seek resolution of any complaint. You have the right at all times to register a complaint directly with the relevant supervisory authority or to make a claim against JC with a competent court (either in the country where you live, the country where you work or the country where you deem that data privacy law has been infringed). 2. HOW DO WE USE PERSONAL DATA WHEN YOU VISIT JC’S WEBSITE? JC collects personal data at its websites in two ways: (1) directly (for example, when you provide personal data to sign up for a newsletter or register to comment on a forum website); and (2) indirectly (for example, through our website’s technology). Any postings, comments or other content that you upload or post to an JC website. In addition to the information set out above, this section describes how we use personal data when you visit JC offices. Do we maintain Customer Relationship Management(CRM) databases)? We send commercial e-mail to individuals at our client or other companies with whom we want to develop or maintain a business relationship in accordance with applicable marketing laws. Our targeted e-mail messages typically include web beacons, cookies, and similar technologies that allow us to know whether you open, read, or delete the message, and links you may click. When you click a link in a marketing e-mail you receive from JC, we will also use a cookie to log what pages you view and what content you download from our websites, even if you are not registered at or signed into our site. Targeted e-mails from JC may include additional data privacy information, as required by applicable laws. Like most companies, JC uses customer relationship management (CRM) database technology to manage and track our marketing efforts. Our CRM databases include personal data belonging to individuals at our client and other companies with whom we already have a business relationship or want to develop one. The personal data used for these purposes includes relevant business information, such as: contact data, publicly available information (e.g. board membership, published articles, press releases, your public posts on social media sites if relevant for business purpose), your responses to targeted e-mail (including web activity following links from our e-mails), website activity of registered users of our website, and other business information included by JC professionals based on their personal interactions with you. If you wish to be excluded from our CRM databases, please contact us. You have a general question about how JC protects your personal data. Alternatively, you may want to use this link to exercise these rights. You would like a copy of the full version of our COC. You wish to make a complaint about JC’s use of your data. You can also contact our legalmail@pec.jc-italia.it.